This cemetery consists of one tombstone, that of Thomas Styles. From Rte 22 & Rte 271, take Rte 271 North. Go thru Nanty Glo & Belsano, staying on Rte 271 North. About 2-1/2 miles north of Belsano, turn left onto Iron Bridge Rd. At the end of Iron Bridge Rd, turn right onto Iverson Rd. On Iverson, take the left fork onto Killen School Rd. 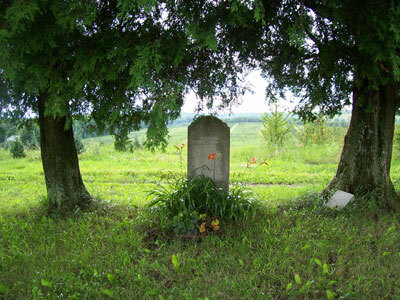 In about 2 to 2-1/2 miles (about 100 feet past a driveway) the single tombstone will be on the left between two trees.